Start planning your Universal Studios vacation before you arrive. Download your Universal Orlando Resort Park Maps here and start planning your adventure! These map are PDF files that you can download prior to your vacation. If you do not have a PDF reader you can download one for free here. 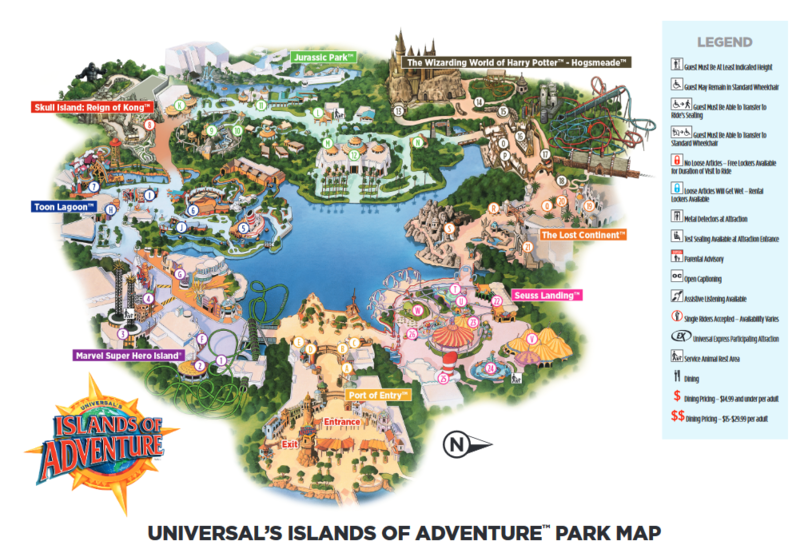 Download the complete Universal Island’s of Adventure park map here for you vacation. 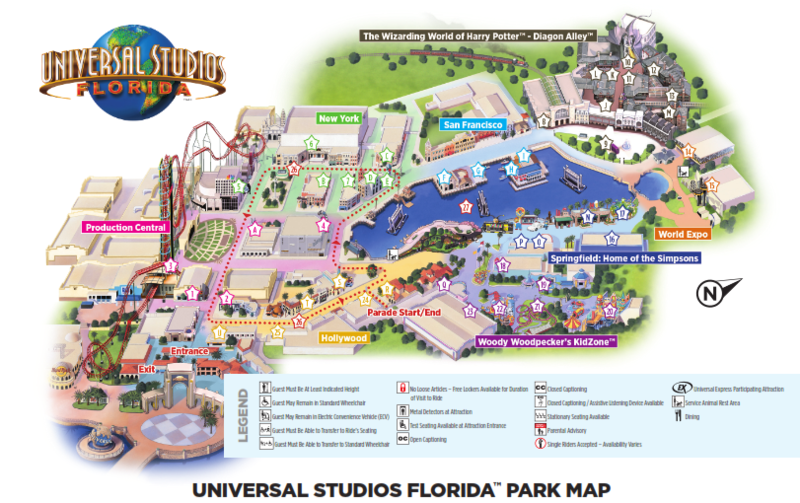 Download the complete Universal Studios Florida park map here. 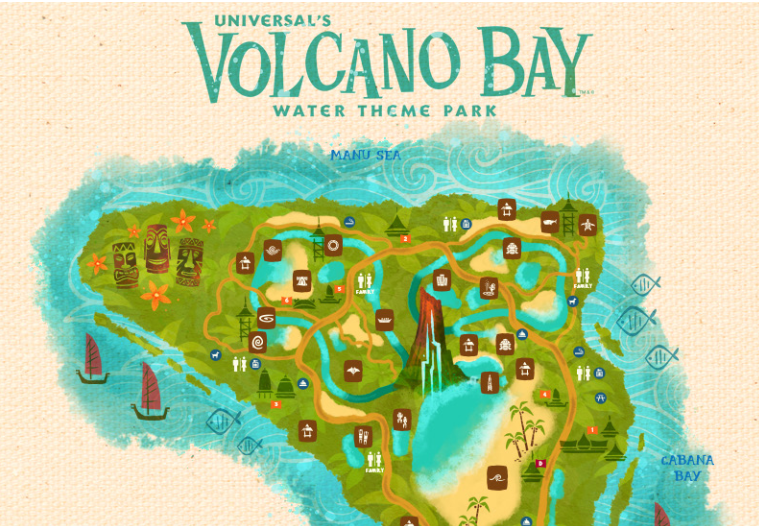 Download the complete Universal Volcano Bay park map here. We use Google Earth to allow you to explore all of the Universal Orlando Resort in one main park map. You can explore the Universal Park map here or click View Larger Map to open another window of just the park map. In the lower left you can select Street View or Satellite View. Satellite View shows you the buildings / rides and makes for a better park map viewing experience. What is the ticket prices to enter your volcano park. Universal Studios + Islands of Adventure + Volcano Bay. If you just buy the volcano Bay ticket it is $80 per adult / $75 per child as of July 2018. Give us a call 678-815-1584 or fill out a quick quote and we can get you setup. If you are in Kissimmee you are about 40 minutes from Universal Orlando Resort.